Lake Superior State University-Sault Ste. 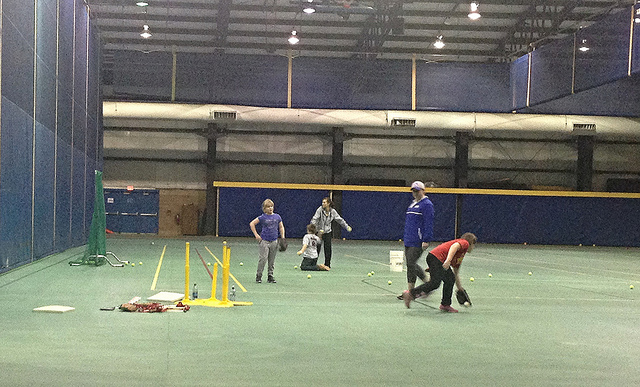 Marie, MI: This week Brian was lucky enough to take part in a clinic hosted by the Lake Superior State softball team. Since we don’t have a baseball team up here, the girls are gracious enough to invite the boys to join in, and get taught all aspects of the game. 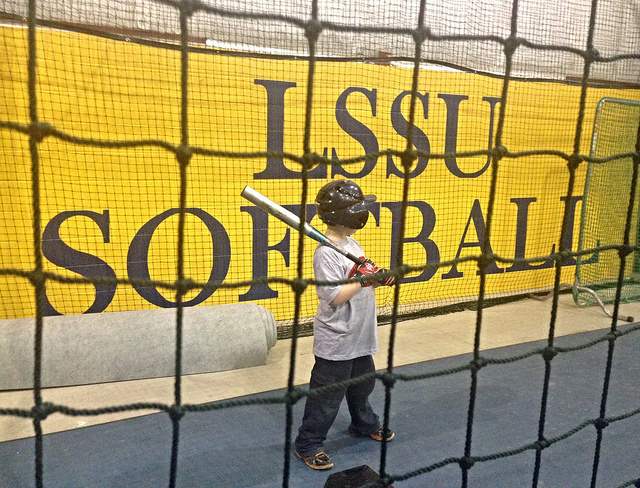 He had a chance to show off his batting skills in the cage, and really stroked the ball well. He also was given good instruction on his throwing and catching mechanics, which is something he needed. 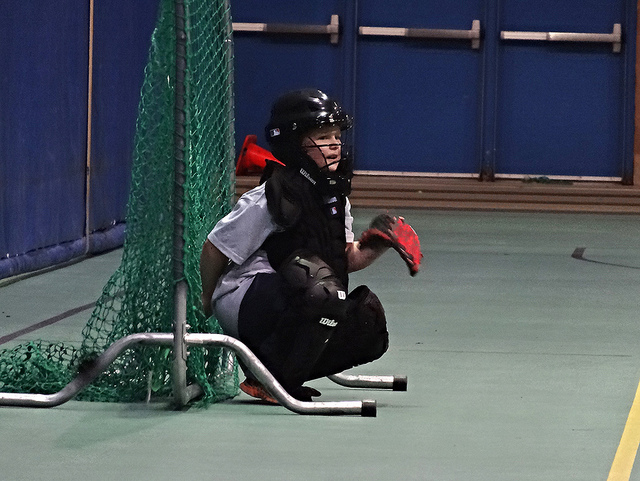 Brian was also given the chance to break in his new catchers gear that he got for his birthday. He had a lot of fun and was able to learn some new techniques to help out his game. The players area always really nice to him and he loves spending time with his ‘friends’. The Lakers will be having two more clinics in both February and March that he plans to attend.